Women... Making History in Rochester, N.Y.! Rochester and the Finger Lakes region are the birthplace of the modern women&apos;s rights movement. Leaders, creators, visionaries, reformers, pioneers or entrepreneurs. There&apos;s no place better than Rochester, NY and the Finger Lakes area to start following the fascinating and dynamic path of women who dedicated their lives to making a difference for the future. Women here have fought for rights now taken for granted by women in America: the right to vote, to own property, to work and thrive in any profession. They were determined to change the l ife of every woman in America forever - and, ultimately, they did. The route to women&apos;s freedom and success in modern society begins centuries ago with the Seneca Mothers of the Haudenosaunee (the Iroquois Confederacy), whose tribe occupied the Rochester region. Their matriarchal society and decision-making powers determined marriage arrangements; a new husband moved into the longhouse of his wife. The women owned property - household property as well as any tilled fields. 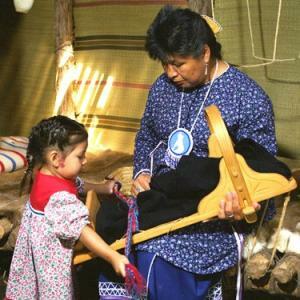 Their children derived their clan membership and tribal identification through their mothers. And it was the women&apos;s duty to nominate male candidates for the position of chieftain. Their American and European contemporaries had no such rights, even with their own children. So it makes sense to begin exploring women&apos;s heritage with a visit to the State Historic Site at Ganondagan. Ganondagan is perched on a high hill overlooking miles of countryside just a 20-minute drive from downtown Rochester. Visitors can explore the Seneca culture with a visit to an authentic longhouse, tour marked nature trails featuring herbal and medicinal plants, and learn about Seneca agriculture, society, and arts and crafts. Ganondagan&apos;s annual Native American Dance & Music Festival in July is recognized by Native People&apos;s Magazine as one of the top 10 festivals of its kind in North America. The Ganondagan Native American Winter Games and Sports Festival celebrates traditional winter activities and sports in February. By 1848, the freedom and rights of the Seneca&apos;s matriarchal society were a source of inspiration to a revolutionary group of women living in the region. Together, Elizabeth Cady Stanton, Jane Hunt, Mary Ann M&apos;Clintock, Lucretia Mott and Martha Wright drew up their Declaration of Sentiments that began: "We hold these truths to be self-evident: that all men and women are created equal." 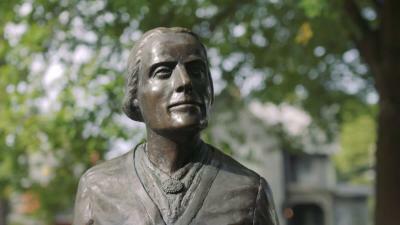 They organized the first Women&apos;s Rights Convention in Seneca Falls. Facing an audience of 300 people, the women bravely presented their Declaration of Sentiments. Soon afterward, another Women&apos;s Rights Convention was held in Rochester. A major, new movement was born. 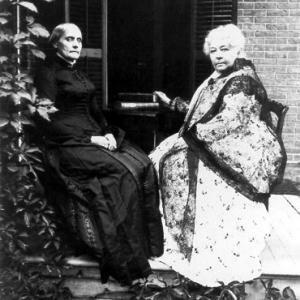 Two very strong - but very different - women came to lead the movement over many years: Susan B. Anthony in Rochester and Elizabeth Cady Stanton from Seneca Falls. According to acclaimed filmmaker Ken Burns, whose documentary Not for Ourselves Alone: The Story of Elizabeth Cady Stanton & Susan B. Anthony first aired in November 1999, "...these two women created a movement that literally transformed American society by winning for women advances in everything from education to divorce law and the right to own property. They are, in my opinion, the two most important women in American history." The National Susan B. Anthony Museum & House, Rochester&apos;s first National Historic Landmark, was home to the legendary suffragist, abolitionist and civil rights leader during her 40 most politically active years. She served as president of the National American Woman Suffrage Association from her home on Madison Street. It was a hub for planning strategies, organizing campaigns, writing speeches, and preparing petitions. This was Anthony&apos;s home base as she made countless trips throughout the United States, to Great Britain, and to Europe to support local suffrage campaigns and organize the International Council of Women. Visiting Anthony&apos;s home and the visitor center next door is a chance to discover a treasure trove of memorabilia, artifacts, furnishings, and photographs. Walk through rooms where Anthony met often with Elizabeth Cady Stanton and other leaders of the civil rights movement. Stand in the parlor where Anthony was arrested in 1872 for the "crime" of voting. It&apos;s not hard to imagine Anthony enjoying her talks with the famous orator and abolitionist Frederick Douglass over cups of tea in her parlor. Upstairs in the small bedroom where Anthony died in 1906, visitors can&apos;t help feeling some sadness knowing she never had an opportunity to cast a legal ballot. 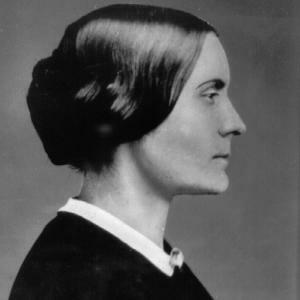 Fourteen years after her death, the 19th "Susan B. Anthony" Amendment was finally ratified and women throughout America were welcome at polling places. A new bridge spans the Genesee River as a hallmark of modern downtown Rochester, named in tribute to the city&apos;s two most famous champions of human rights - Frederick Douglass-Susan B. Anthony Bridge. The final resting place for many important leaders of the abolitionist and women&apos;s rights movements is beautiful Mt. Hope Cemetery in Rochester, the first Victorian park-like cemetery in America developed by a municipality. 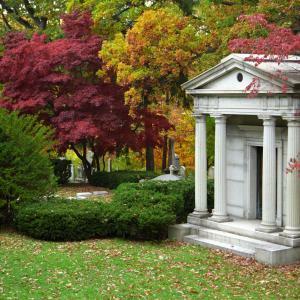 There are guided tours and self-guiding maps to help visitors locate the gravesites of Susan B. Anthony, Jean Brooks Greenleaf (former president of the New York State Woman Suffrage Association), Frederick Douglass, and the other famous people buried here. The women&apos;s rights path leads southeast from Rochester and into the Finger Lakes region. The Ontario County Courthouse, site of Susan B. Anthony&apos;s famous trial in 1873, is just a short drive from Rochester in Canandaigua, N.Y. Barred from testifying on her own behalf and then found guilty, the judge imposed a $100 fine for her illegal act. Anthony&apos;s reaction? "May it please Your Honor -- I shall never pay a dollar of your unjust penalty." And she never did! To the east of Canandaigua in Seneca Falls is another significant stop -- the Wesleyan Chapel where the first Women&apos;s Rights Convention was held. Although only part of the structure remains, it&apos;s one of several important sites in Seneca Falls and Waterloo comprising the Women&apos;s Rights National Historical Park that also includes the Suffrage Press, the homes of Elizabeth Cady Stanton and Mary Ann M&apos;Clintock, and a visitor center. A writer, wife and mother of seven, Elizabeth Cady Stanton wrote many of Susan B. Anthony&apos;s speeches; she was a firm abolitionist and suffragist partner with Anthony, but chose to stay at home writing and raising her children rather than travel for the cause. Visitors to her home can get a hands-on, eye-opening taste of what it was like to raise children and keep a Victorian home while wearing layers of heavy clothing and hoop skirts. The National Women&apos;s Hall of Fame in Seneca Falls features exhibits and photographs that share the inspiring, and often amazing, stories of hundreds of women in America - women from the past and women alive today - all celebrated here for their impact on our world. The Genesee Country Village & Museum is the third largest living-history museum in the country and a fun way to learn about the daily life of women during the 1800s. Spend a day immersed in the past wandering through 68 historic structures - from houses and shops to offices and churches -- plus a variety of authentically maintained gardens. These bring the routine activities and concerns of 19th-century women into focus and show how women were the primary caretakers of homes and families. Interpreters and craftspeople in period clothing provide demonstrations of cooking, weaving, spinning, quilting and other daily activities that were an integral part of life in early-American villages. 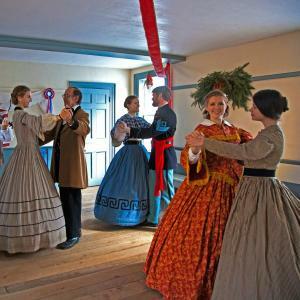 Each May, there&apos;s also a special "Salute to Women" event that includes "visits" with amazing women from the 19th century! The Seneca captured Mary Jemison, the "White Woman of the Genesee," as a young girl of fifteen and she lived the rest of her life among the tribe that adopted her. She married a Seneca man but gave all of her children English names. Yet when she had an opportunity to leave, she chose to stay with the Native Americans who had become her family. Jemison&apos;s gravesite and a striking statue of this unusual woman can be found in Letchworth State Park, along with the cabin she built late in her life while pregnant with her daughter Nancy. Rochester was at the heart of other reform movements of the 19th and early 20th centuries as well. Hester Jeffrey lived here for many years, working for political and social equality and organizing educational clubs for young African-American women and girls. Harriet Tubman often stopped at local stations on the Underground Railroad as she led slaves to freedom in Canada. Rochester was in the forefront of women&apos;s advancements in the fields of science, engineering, medicine and religion, too. In nearby Geneva, N.Y., Hobart and William Smith College has the distinction of granting the first medical degree to a woman in 1849. After graduation, Elizabeth Blackwell went home to England to practice medicine but eventually returned to set up a clinic with her sister in New York City. Clara Bartonmade history in 1881 when she established the first local Red Cross chapter in Dansville, N.Y., near Rochester. Martha Matilda Harper definitely made her mark in business. A contemporary and friend of Susan B. Anthony, Harper opened her first beauty parlor in 1888. Her own Rapunzel-like locks were testament to her "Harper Method" of hair and skin care. This female entrepreneur established factories to manufacture her organic hair products and cosmetics; she was also the first person in America to establish franchises and the first woman to join Rochester&apos;s Chamber of Commerce. She mentored countless women and gave poor, working women an opportunity to own a business. Harper eventually had more than 500 shops in operation around the world! In the area of higher education, the University of Rochester is home to the Susan B. Anthony Center for Women&apos;s Leadership, which offers research opportunities, programs and events. The center&apos;s name is a tribute to the well-known suffragist who was instrumental in getting the first female student accepted to this institution of higher learning. Lovely Warren is Rochester&apos;s first female mayor - elected 141 years to the day of Susan B. Anthony casting her illegal vote. More than history - women have fun here, too! It&apos;s not all work and no play for women in Rochester. 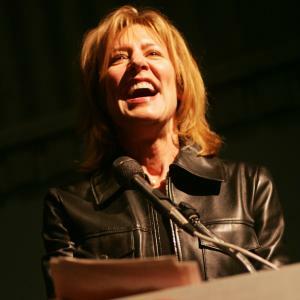 In November, the High Falls Women&apos;s Film Festival focuses on outstanding achievements by women as filmmakers, screenwriters, directors, producers, etc. Since it began in 2001, this unique film festival has grown quickly in both prestige and attendance with thousands of people enjoying a wide range of films, lectures, and special events. The annual Susan B. Anthony Failure Is Impossible Award honors outstanding work by a woman in the world of cinema. But these are only a few of the many, many special activities and events to be found in women-centric Rochester, New York. Travel a path stamped into history by the footsteps of a few daring reformers and eventually thousands of women - reformers and visionaries, leaders and dreamers. See what&apos;s been carried on by generations that have come afterward, developing Rochester into the innovative, progressive, vibrant area that it is. You may come away with a whole new perspective of yourself and the women in your life!